It appears that Microsoft with Skype’s developer team is very close to announce their first Skype application for the Windows Phone devices. In the CES 2012 hype, we come across to an interview with the Skype’s VP of products, Rick Osterloh, which revealed in the public that Microsoft has been working on a Windows Phone Skype app, and the product will be coming out soon. In first approach, Microsoft has refused to comment over the arrival of any app for the Windows Phone platform from Skype team, after the Redmond Company acquired the Skype earlier last year. Many hidden sources claimed last year that Microsoft will not launch any Skype app for Windows Phone 7 platforms with deep integration of service to the roots of the platform at very first time, but they are expected to integrate the service in the roots of Windows Phone later. However, last year Director of Windows Phone team, Joe Belfiore commented in public that Windows Phone platform will receive its Skype in 2011, but as we all know company has failed to provide any feedback and clarification on the date pass out for the Skype app launch for Windows Phone platform. According to the inner sources from high profile publication, we learned that Microsoft to launch the Skype app for Windows Phone platform with the launch of new major Windows Phone platform preview “Apollo” on the upcoming events from the company. Microsoft is expected to hold down the launch of first Skype app for Windows Phone platform until the launch of Windows Phone “Apollo” update. It appears that Microsoft may preview another glimpse of Skype app for Windows Phone with Apollo on the upcoming event, or may finally launch the app for the rest of current Windows Phone users. In the next month, another big tech related event is coming, which may bring a couple of good news for the folks who waits a whole year to listen about the crunchy news in tech niche. 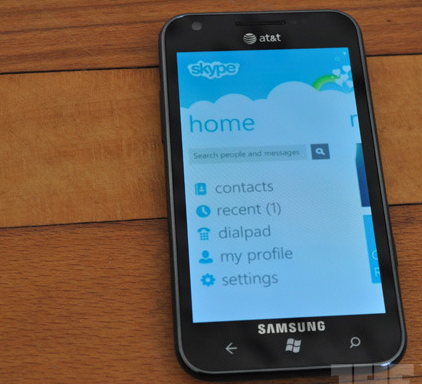 Mobile World Congress 2012, is coming in February, and Microsoft is expected to launch Skype app for Windows Phone platform in February with Skype team.